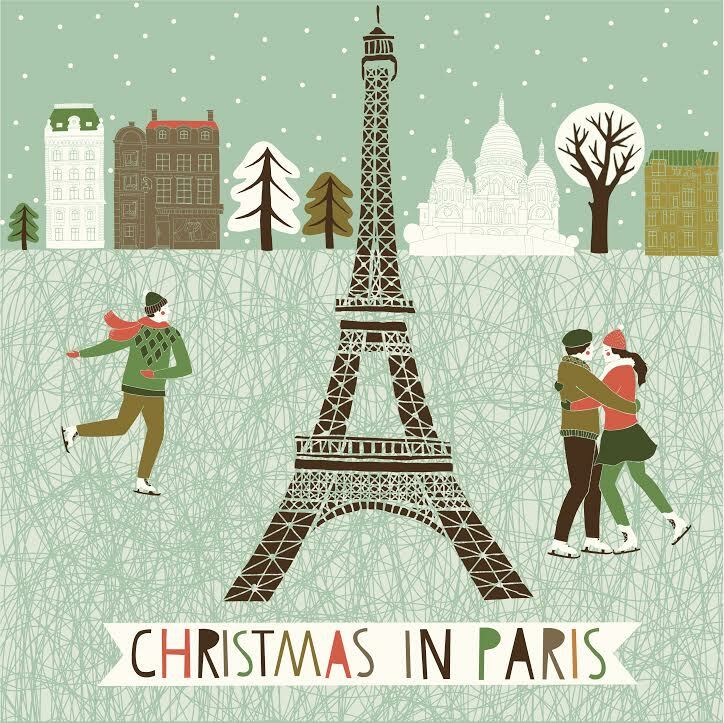 It’s the most wonderful time of the year…to travel to Paris! And AESU, the most trusted name in travel, can help with an Affordable French Vacation designed for college students and young professionals. Click Here to find a trip that is right for you. If you thought Paris was magical before, just wait until you see the city during the holiday season: the lights, the smells, the atmosphere. There is so much to do and see. What better way to celebrate Christmas in Paris than with a little ice skating? Every winter, ice-skating rinks are set up around Paris for locals and tourists alike. You have your pick of the litter, but there are a few sites that stand out amongst the crowd: The Hôtel de Ville and, of course, the Eiffel Tower. The Hôtel de Ville: Admission is free and skate rental is just 5 Euros. You will need a photo ID to rent skates. Open Monday through Friday from noon to 10pm. The Eiffel Tower: Who knew that you could skate inside one of the world’s most recognizable landmarks? Open each year from December to January, the rink sees roughly 1,000 visitors daily. Oh yea! Did we ention that the Eiffel Tower rink is 57 meters above Paris? What is Christmas without lights? Well, it would be a lot darker for starters. It would also be a lot less magical. Lucky for you, Paris is full of Christmas lights. Each and every holiday season, beautiful lights adorn several quarters and historical sites throughout the city. The Christmas lights on Champ-Elysees has 150,000 lights! That is a lot of lights! Paris is full of Christmas markets this time of year. However, the most popular market remains the one on the Champs-Elysees. Eat some chestnuts, drink some mulled wine, and peruse the various shops. On the night of December 20, 300 beautiful metal Christmas trees will pop up in an undisclosed location. These trees will be up for grabs to the first 300 people who find the mystery location, which will not be revealed until 6pm that day. AESU offers unique, exciting travel programs for college students and young professionals at affordable rates. Each trip is action-packed and informal—designed just for people your own age. We offer several trips to France, including Cosmopolitan, Explorer, Euro Focus, Great Escape, and Euro Spree. We are also able to design custom tours just for your group. Want help booking an Affordable French Vacation to visit Paris for the most romantic Christmas of your life? Please contact AESU by calling 800-638-7640 or fill out the contact form found on our website. And don’t forget to check out all of our great Travel Tips, especially the Travel Tips for Europe, before you head overseas. This entry was posted on Monday, December 15th, 2014	at 5:37 pm	. You can follow any responses to this entry through the RSS 2.0	feed. Both comments and pings are currently closed.